KSL Resort Johor, Johor Bahru, Malaysia. 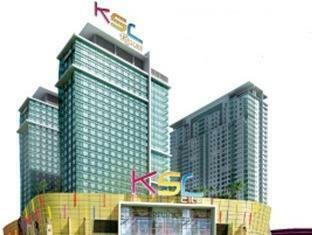 KSL Hotel & Resort Johor Bahru is the newest and largest integrated resort in Johor Bahru that offers a complete shopping experience with entertainments and accommodations. 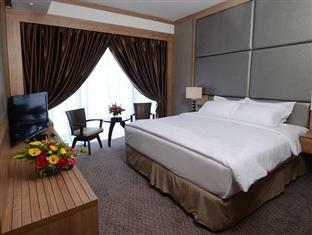 The hotel is located in the heart of Johor Bahru City. It is about 10 minutes away from the Causeway and Johor Bahru Business District.The Resort style hotel provides 868 rooms & suites and extensive meeting and event facilities. For meetings and events, KSL Resort offers the perfect combination of first class facilities, outstanding services and a range of flexible packages. We also offers a range of wedding packages for your special day. Stay here and enjoy its convenience and comfort.There are numerous well-known Food & Beverage outlets, Fashion boutiques, Cineplex and Hypermarts (Tesco) all under one roof. Without compromising the location, you still can enjoy the water theme park facilities, Golf simulator experience, pool, billiard and children's amusement arcade. In the evening, all guests are invited to our Mission Bar & Grill, where you are able to enjoy a wide range of imported beers and wines. There will be Barbeque dinner and live band to lead you through the night. Well-placed in the sightseeing, business, sports area of Johor Bahru city, KSL Resort provides a most conducive spot for you to take a break from your busy days. From here, guests can enjoy easy access to all that the lively city has to offer. With the city's main attractions such as Holiday Plaza, Kwang Ing Fuk Yien Temple, Pelangi Leisure Mall within close reach, visitors to the hotel will just love its location. 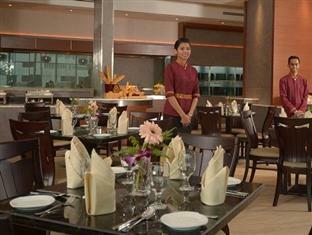 Come and experience the Malaysian warm hospitality with comfort and affordability at KSL Hotel & Resort Johor Bahru. The resort offers 868 guestrooms and suites including 596 superior guestrooms, 239 deluxe guestrooms and 33 suites. Being centrally located at Taman Century, all guestrooms and suites are appointed with amenities to offer the very best in comfort, ambience and contemporary décor, inspired by panoramic views of the city from each guestrooms. All guestrooms and suites feature electronics key card system, individually controlled air-conditioning, International Direct Dial (IDD) telephone, individual room safe, high definition TV panel with satellite transmissions with BBC, Star Movies, National Geographic (Deluxe Room & above) and multi- channel music entertainment. 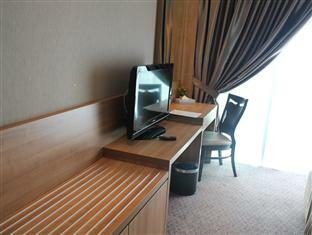 There are also minibar, complimentary coffee/tea, hairdryer facilities. After all the hard day work or shopping, stay connected with friend or family via free internet wireless from your room. 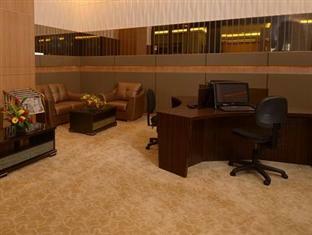 KSL Resort offers impeccable service and all the essential amenities to invigorate travelers. To name a few of the hotel's facilities, there are family room, tours, elevator, disabled facilities, poolside bar. Step into one of 868 inviting rooms and escape the stresses of the day with a wide range of amenities such as in room safe, non smoking rooms, coffee/tea maker, complimentary bottled water, mini bar. Whether you're a fitness enthusiast or are just looking for a way to unwind after a hard day, you will be entertained by top-class recreational facilities such as sauna, pool (kids), outdoor pool, gym. With an ideal location and facilities to match, KSL Resort hits the spot in many ways.